[PDF] Handbook of Public Information Systems, Second Edition (Public Administration and Public Policy) | Free eBooks Download - EBOOKEE! Description: Written by more than 60 contributors who depict the remarkable transformation of the public management profession by computers, this book presents the historical, institutional, legal, organizational, functional, policy, and theoretical background that constitutes IT literacy for public service. The book describes the application of IT to training, budgeting, and policy simulation at the federal level, and to community planning, community telecommunications, and welfare at the state level. Providing a broad and timely overview of IT as it applies to the public sector the book collects critical knowledge and delivers insight into contemporary uses of IT in the public sphere. 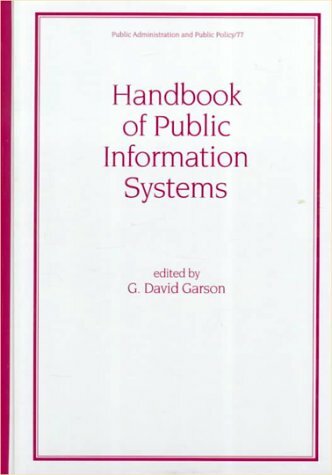 No comments for "[PDF] Handbook of Public Information Systems, Second Edition (Public Administration and Public Policy)".